Jordan Brand will kick off the New Year with two impressive editions of the Air Jordan 1 Retro Kick. The first one is the Air Jordan 1 Retro High OG “Knicks” that features a Nike Branding on the tongue, while the other one is the Air Jordan 1 Retro High that will come out in the original colorway of the kick without the Nike Branding on the tongue. 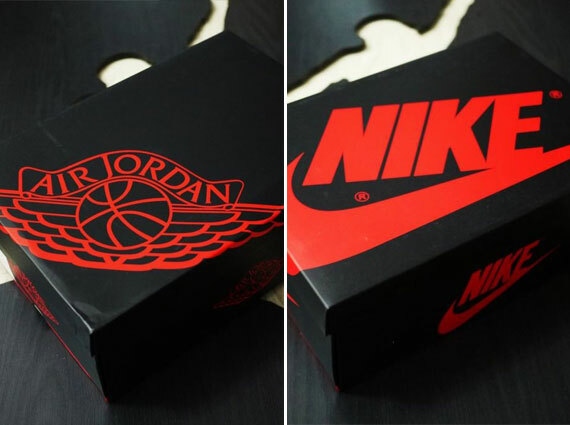 The “Knicks” edition will be packaged in a traditional black box with the Nike Air Swoosh printed on it, while the Air Jordan 1 Retro High original colorway will be coming out in the black box stamped with the Jordan Brand wings logo. But despite the difference in the packaging, both kicks looks very impressive, giving you two excellent choices for your new kick this 2013!